Many small businesses and organizations want to manage their team's devices centrally to increase security and compliance, but it isn't feasible for them to set up and manage an on premise server or network. Microsoft 365 provides a solution for them by integrating Office 365 with tailored security and management features from Windows 10 and Enterprise Mobility + Security. 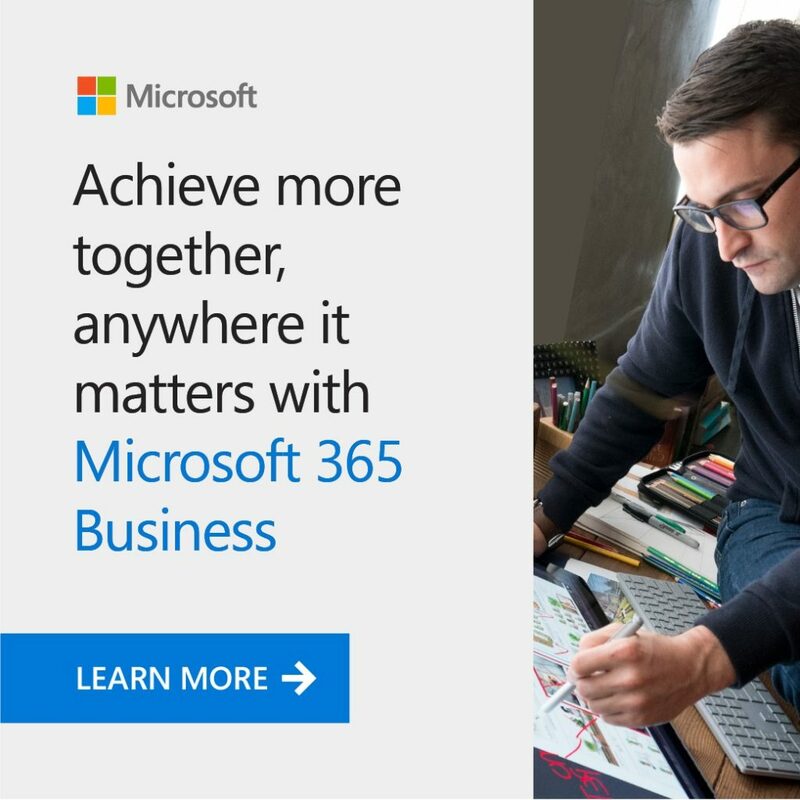 Microsoft 365 Business goes beyond Office 365 to get your PCs up and running on the latest operating system, simplify management of employee devices with a single console, and protect company data across devices with always-on security. You can watch a quick demonstration highlighting some of the great features of Microsoft 365 Business here. Be sure to also check out the Microsoft 365 Business datasheet. If your company's needs are beyond what Microsoft 365 Business offers, please contact us to discuss how Microsoft 365 Enterprise can help. Whether you already have Office 365 and are interested in adding these additional capabilities or are new to Microsoft's cloud services, contact us to discuss how Microsoft 365 can help your organization. You can also visit our pricing page for more information on our services.